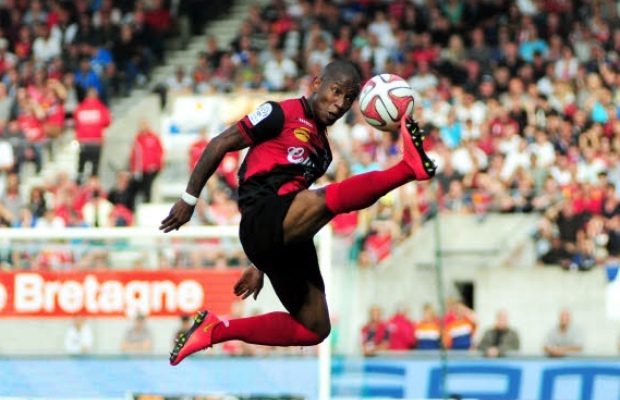 Home › news › CLAUDIO BEAUVUE : England bound ? CLAUDIO BEAUVUE : England bound ? 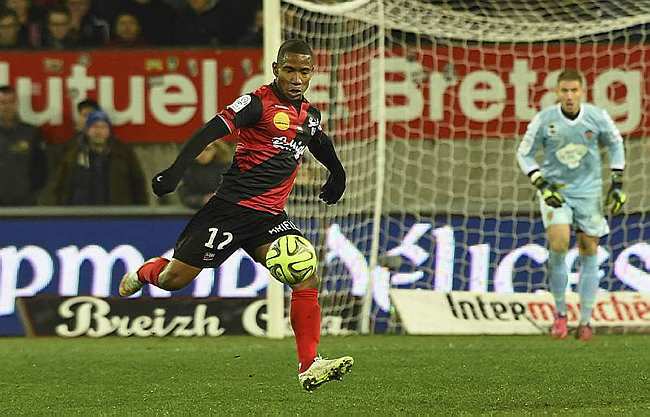 En Avant Guingamp’s prized player is on the move ! After a very satisfying season, (50 games, 26 goals /Ligue 1/ France’s Cup / Europa League) and three assists, it’s time for him to leave the small French provincial town of Guingamp, where there are more supporters than the whole population babies included, for greener and more lucrative pastures ! The 27-year old player, knows perfectly well, that he is a hot property and that he’s watched by a number of foreign clubs scouts. 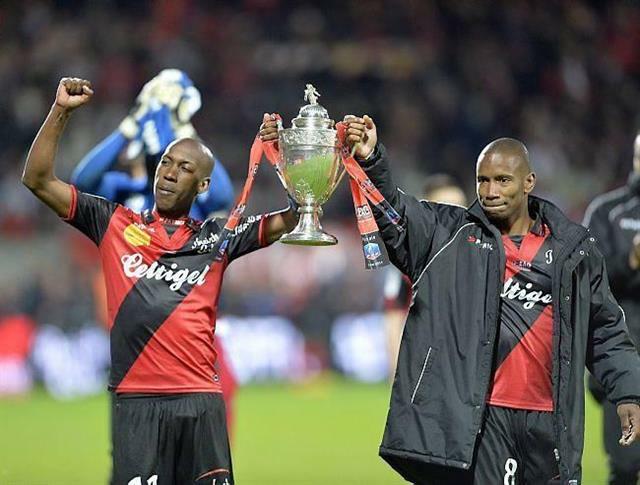 Claudio Beauvue, was born in St Claude, Guadeloupe(16/04/1988) and plays as a striker for En Avant Guingamp; he’s 1.74 m(5ft 8 in). He started his young career in FC Nantes, nine years ago and played for Ligue 2 and Ligue 1 clubs as FC Chateauroux and SC Bastia(on loan). His most important silverware is La Coupe de France 2013-2014. This player has produced an even more entertaining football, since EAG’s boss Josselyn Gouvernnec, positioned him in front of the attack(he was previously playing at the right wing), thus showing better his great qualities as speed and technique combination, great presence in the danger area and good aerial skills despite his average height. The West Indies forward is courted by several clubs as Olympique de Marseille, to replace André-Pierre Gignac and Germany’s Borussia Dortmund, but Premier League’s West Ham, Everton and now Tottenham, are a more likely destination. Guingamp signed him two years ago for 300.000 Euros; currently the player’s worth is estimated about 5M Euros; a huge financial gain for such a small club!